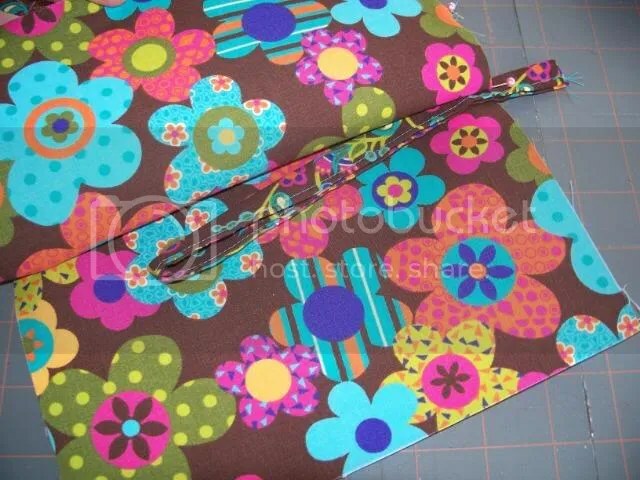 *fabric for outer and lining of bag, cut to the size you want your bag to be, plus 1/2 inch seam allowance. I cut my lining pieces about a 1/4 inch smaller than the outer, I think it makes the lining fit better. *interfacing for bag outer. This is optional, but if you are using cotton woven/quilting weight fabric, a layer of interfacing will give your bag some body and strength. If you are using heavier fabrics, such as home decor weight, you can skip the interfacing. *handle. Another optional thing, but if you want one, it’s easy to make. Take a piece of fabric that is twice as long as you want the handle to be, plus about an inch. Cut it to a width that is four times how wide it will be. Fold it in half the long way and press. Open up and fold each long side in towards the center crease and press. You should end up with a long double folded strip. Stitch down the open side. *a zipper foot for your machine. Yes, the zipper foot. It looks like a ski. Here are my pieces, cut out, interfaced and ready to go. oooh, a bit of glare there, sorry. The piece next to the zipper is the handle. Lay one piece of the outer fabric right side (RS) up and put the zipper wrong side (WS) down, centering it on the fabric. Lay one piece of the lining WS up over the zipper. The top edges should be even and the fabrics are RS facing each other. Pin if you want. 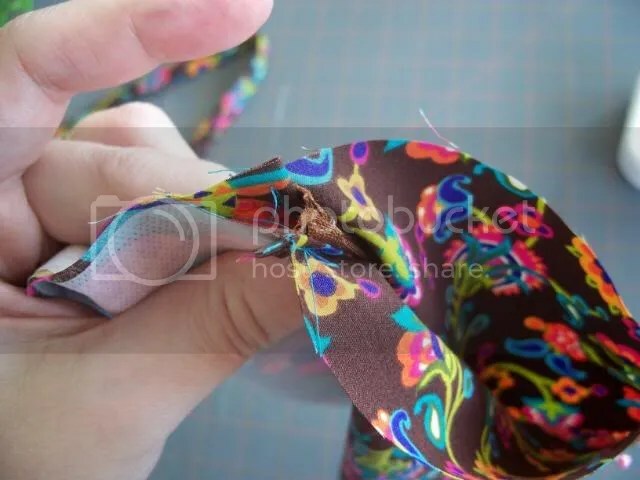 Sew along the top edge, using your zipper foot. (Just before you get to the zipper pull, stop with the needle down and lift the foot and carefully slide the zipper pull past the foot.) Press the fabric away from the zipper. Next, do the same for the other side. Lay the other outer fabric RS up, then center the zipper with its attached fabric WS up on the outer fabric. Lay the other piece of lining WS up on top. Pin. Double check that the outer is facing the outer. 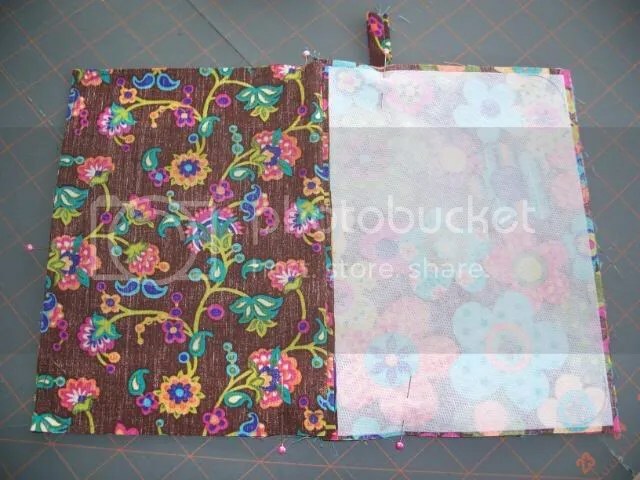 In the pic below, the top fabrics are the lining. The zipper is face down and the outers are RS facing under/behind the zipper. Again using the zipper foot, sew along the zipper. 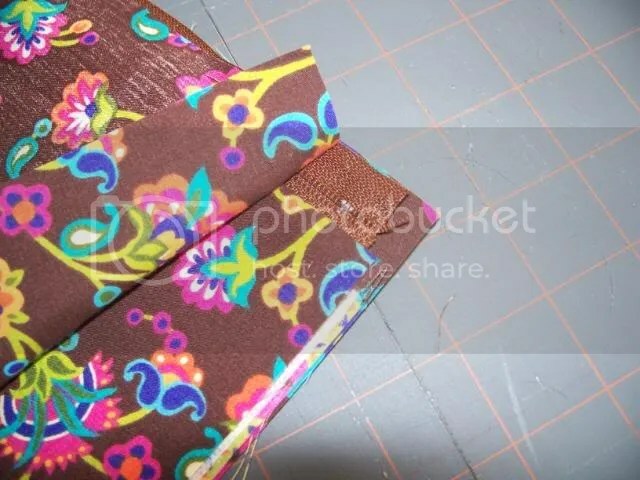 Press the fabric away from the zipper and it should look like this. I like to topstitch along the zipper at this point, as you see in the picture. 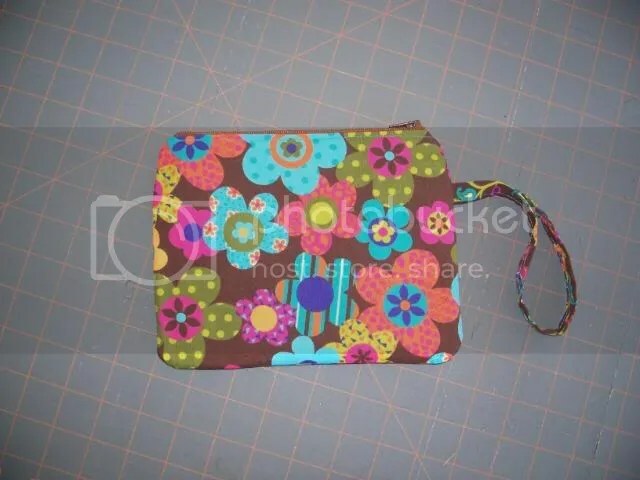 I think it looks nice and it keeps the fabric from jamming up the zipper. See how the teeth of the zipper are poking towards the lining? Another way to think of it is to have the seam allowance fold towards the outer. This will push the zipper towards the lining. Pin. Yes, really, you want to pin on at least one side on each end of the zipper. VERY IMPORTANT DETAIL YOU WOULD REGRET MISSING: Open the zipper! Not all the way, but as far as you can before it would be in the path of your presser foot as you sew around. If you do not do this, you will be unable to turn your bag RS out. Here is my pouch, ready to sew around. I want rounded corners, so I traced ’round a thread spool for those. I’ve also made marks at each end of the zipper to show where the zipper stops are. 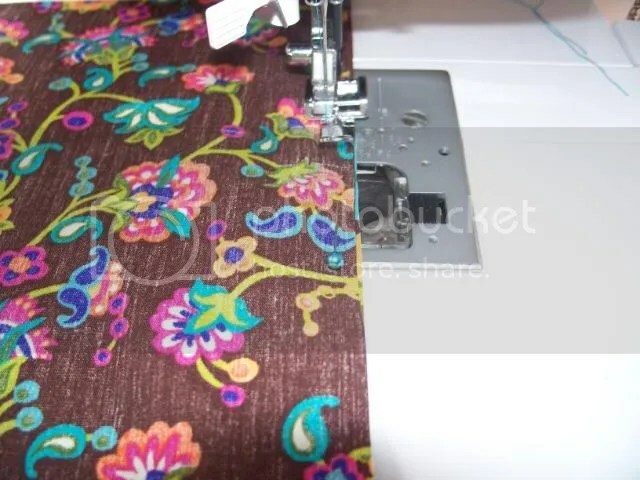 I want to sew right next to them, so that there are no gaps at the ends of the zipper. See the pink headed pin on the left? Start sewing around a bit below where that pin is. 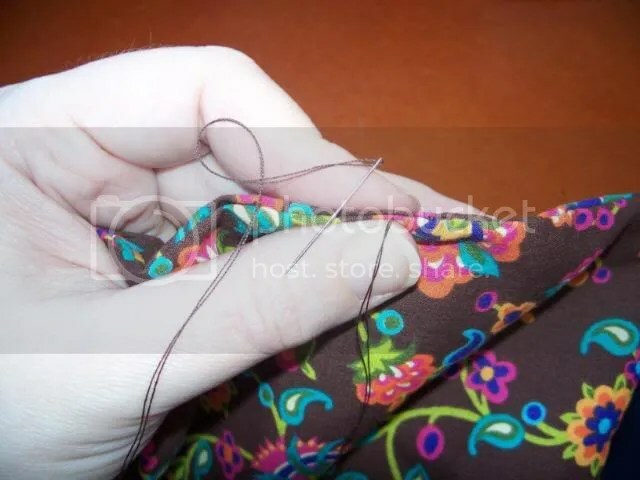 Backstitch where you start. Stitch all around, going slowly over the zipper. 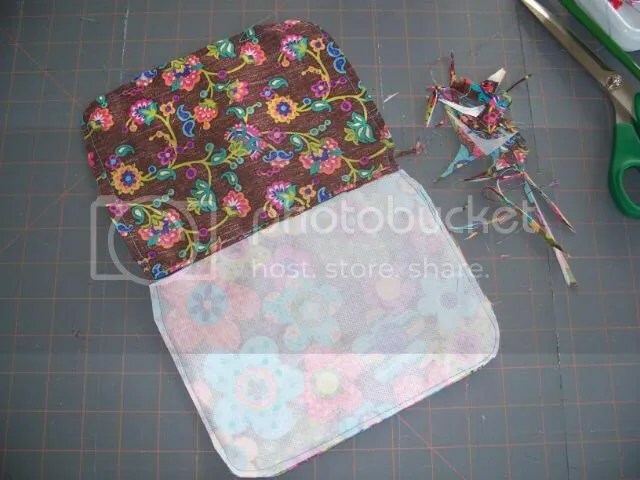 Stop a bit above that pin and backstitch, leaving an opening that is at least half the width of your pouch. Trim your seams. Especially at the ends of the zipper. Trim off the extra handle. I don’t trim anything away from the turning opening, which might make it harder to sew closed. Now the fun part: turning. Pull the outer side out through the opening. But it does…whew! Push out the corners and make sure it all looks good. There are two ways to close up the turning opening. 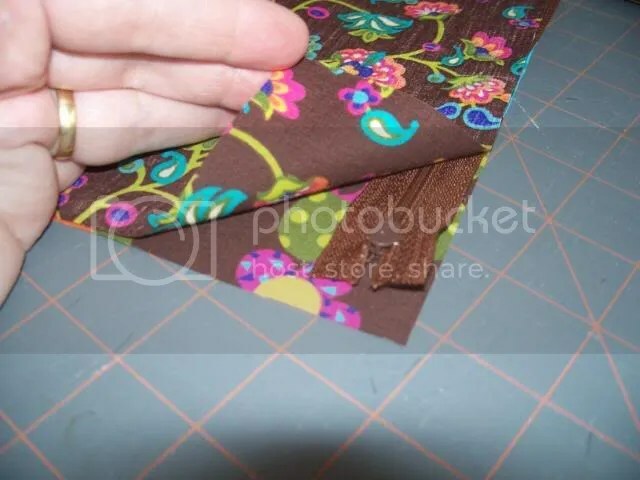 You can use your machine to stitch it closed, which leaves a visible seam. I do that for bags I’m keeping. But this one is destined for Retro Femme so I will close it by hand. Tuck the lining down into the bag and you’re done! Very nice tutorial! Thanks for sharing! Great job on the tutorial! I will have to try this soon! Thanks for the tutorial. Very easy to follow. Best zipper tutorial around! Thanks so much for putting this together. My bag turned out great. 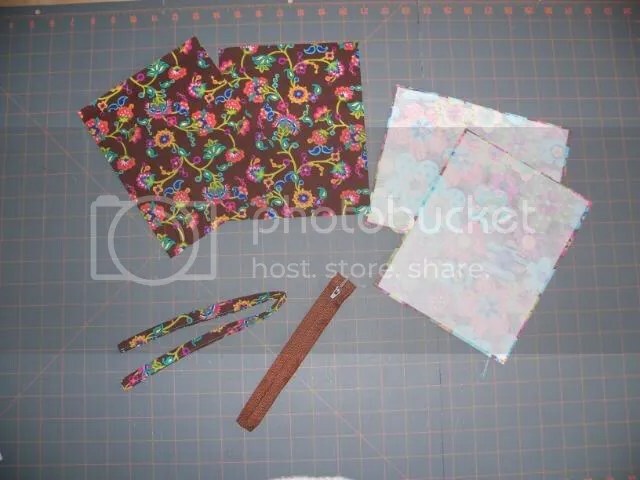 I just made my second and third zippered pouches using your tutorial (my first was using a different one). Your’s is so much better 🙂 I wouldn’t have thought about the topstitching and other touches that make it look more professional. Thanks so much! 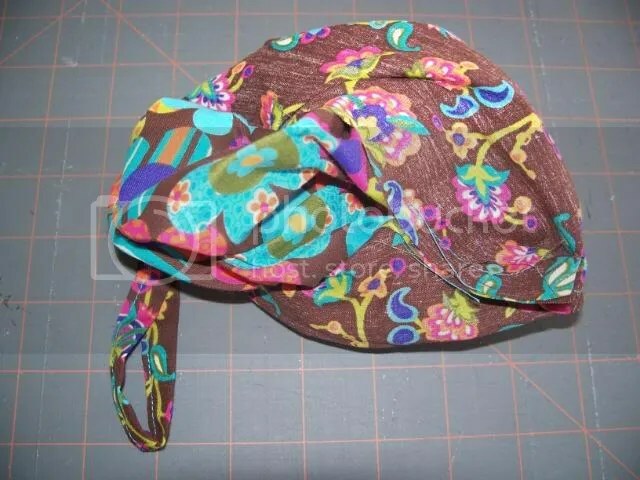 I googled tutorials for a zip up pouch and found yours in the list. I’m a novice sewer and I have tried 2 other tutes today and this is by far the easiest to follow and has the clearest photos. Thank you so much for sharing. I’m confident I can make the pouch successfully now! Awesome! My first zipper, and the pouch is so cute!!! Thanks. I LOVE IT!!! I hope you’ll do lots more of these for us. You do a great job. Thank you. Absolutely lovely. 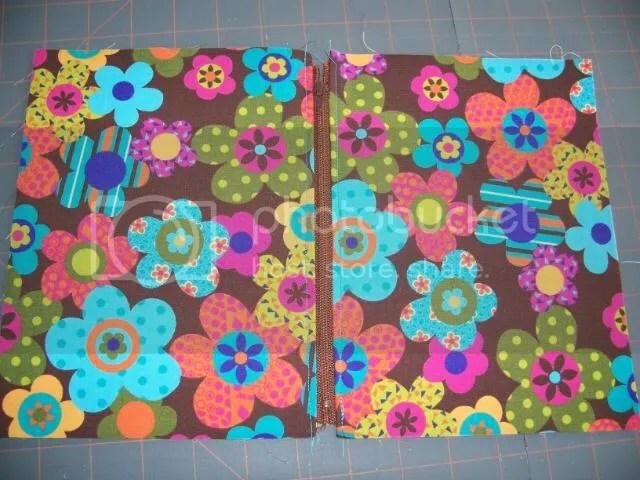 i am so SCARED of doing zips, and that confines one, so i’m gonna give this one a bash. thanks so much!!! Great tutorial and excellent photos. Thank you so much!! Great tutorial and relevant pictures. Thanks for such an easy to follow tutorial. 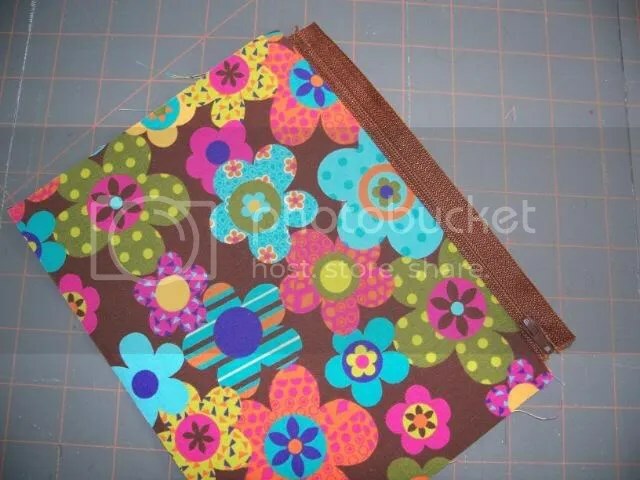 I busted one of these out during naptime, and I’ve never sewed a zipper before! Great tutorial! Easy to understand instructions and good photos.